The Netherlands. A Country where the highest peak is 322.7 meters and it’s far more than 100 km from Delft. The easiest, fastest, healthiest and cheapest way to move is cycling. Of course, all of us had one. 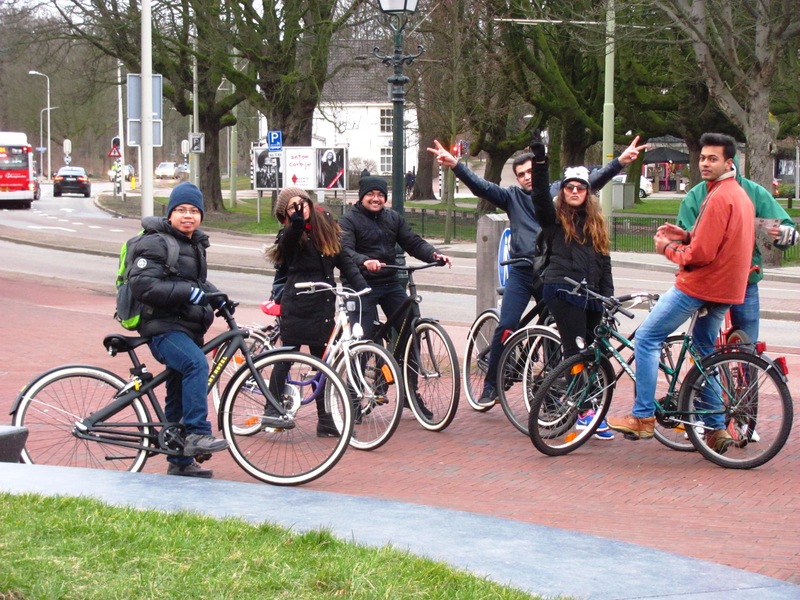 Most of us brought the bikes from Dresden, after an adventurous journey of 12 hours where Josias Marianne and Franci moved all of our belongings from Germany to the Netherlands with a rented van. Our first two months in the Netherlands were spent in Den Haag (The Hague), the city where the Dutch government is settled (but it’s not the capital!). Distance from Delft: 9 km. Already when we were in Dresden, we were planning to overcome this little issue with a daily riding, since train tickets are pretty expensive. So, every day, a large bunch of cyclists used to ride together, spread from left end of the road till the right end, from Den Haag to Delft and the way back. 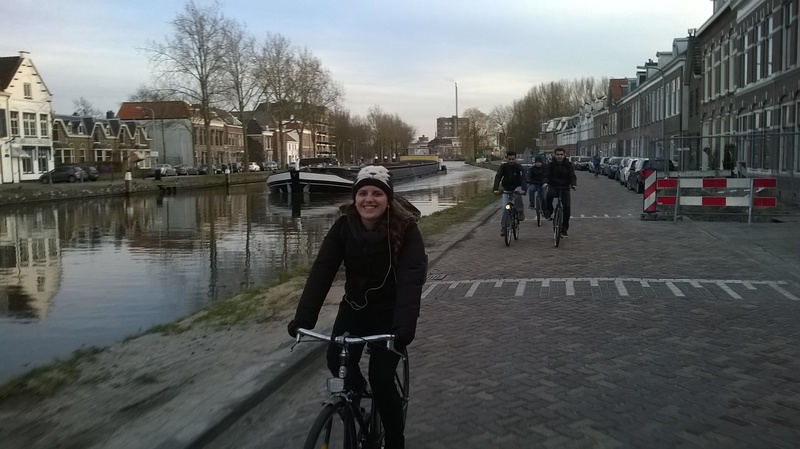 The way to get to the institute is great: after having cycled for a while in Den Haag suburbs, a nice large and straight cycling lane along a big canal offered us the best good mornings for these two months. And on the way back in the late afternoon, the sunset on our back was projecting our fast shadows on the ground, colouring with intense tonalities the Dutch countryside while brave rowers were boating on the smooth surface of the canal. That was beauty in a blur! But, of course it wasn’t always like this. The weather is not really friendly during spring: strong wind with even stronger gusts gave us hard time, and wet (and smelly) armpits. Certain moments it was just like a race, as in these conditions the time to get to Delft is doubled. And when it wasn’t windy, it was raining. Wet underpants. Sometimes it was raining with a lot of wind. Wet underpants and wet armpits (both smelly….for the rest of the day). 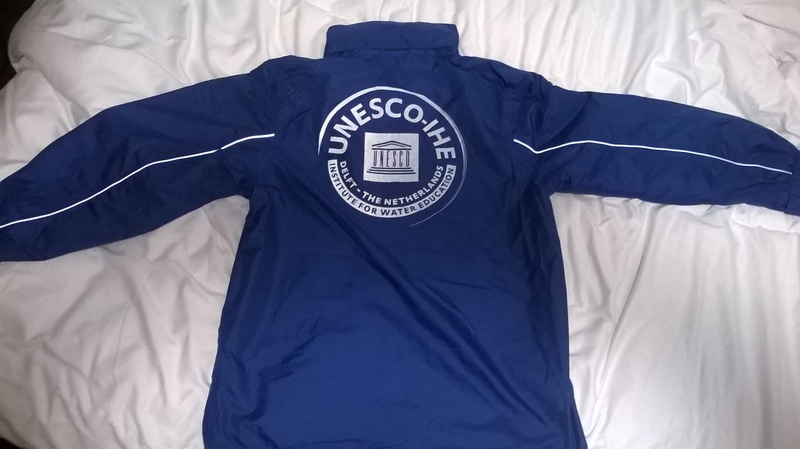 Being aware of such a fate of ours, UNESCO gave us personal rain jackets, which would flutter under such strong winds and rain, almost like a superhero cape, saving us from the vagaries of nature in Netherlands (but not from the smelly armpits). But despite such atmospheric adversities, we were keeping it up, without renouncing the challenge. At the end of the two months we managed to fulfil our deal. No trains. Some brave, crazy and proud guys were able to do this. Our thoughts are for a better environment, where there is no smog and easy mobility. Our souls are mirror of our creed. Our uniforms have the same colour of nature. 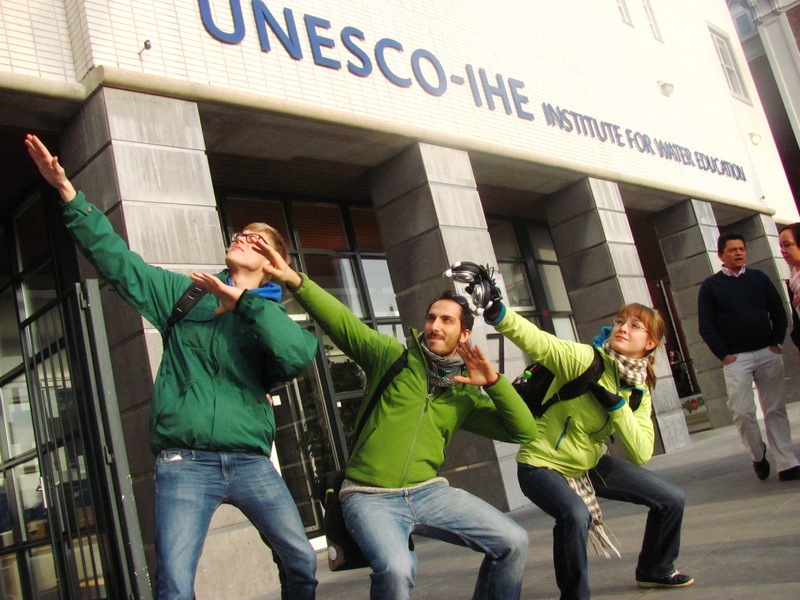 We … are the green team.